DALTON- Beverly A. “Sis” (Keeler) Silvernail, age 75, passed away Wednesday, May 30, 2018 at the Berkshire Medical Center with her family at her side. Beverly was born October 6, 1942 in Pittsfield the daughter of the late Warren “Fuzz” and Dorothy “Dot” (Jones) Keeler. She graduated from Pittsfield High School with the class of 1960. After high school, she moved to Dalton. Before going to work full time, Bev spent many years as a homemaker, raising her children and being the best mom her children could ever ask for. She later began working as the office manager at Berkshire Neurology. This was a position she held for over 15 years. She then went on to work at Cranwell as the night auditor for over twenty years. When her children were young, Beverly acted as the neighborhood babysitter, and always enjoyed having a house full of kids. As they grew, she began the roll of babysitter for her grandchildren and great grandchildren, who fondly called her Nan. She even enjoyed “puppy sitting” most recently for her grand-dog Ollie. Beverly was a quick witted and spunky woman. She would bend over backwards for her family, and was the first to give advice to those she believed needed it. Bev loved to have visitors, and was proud to have the coffee pot flowing, day or night, for anyone who may stop by. Nothing brought more joy to her than when her family was around. Beverly is survived by her three children, Dorothy A. Keeler of Charlemont, George P. Silvernail of Lee, and Belinda A. Sinopoli of Dalton, six grandchildren, Nicole Dignum, Jacob Sinopoli, Rebecca Dignum, Shane Sinopoli and Olivia & Alexandra Silvernail, and her three great grandchildren, Amber Palachanis, and Kileigh and Gaberiel Sinopoli. She also leaves her brother, Warren “Punky” Keeler of Pittsfield, her sister, Carol Keeler of Pittsfield, and many nieces and nephews. Beverly was predeceased by her sister and best friend, Joan Wilbur, who was taken from us too soon and is missed every day. She was also predeceased by two brothers, Bross “Sunny” Keeler and Paul “Brush” Keeler, and her former husband and close friend, Jack P. Sivernail. Graveside Services will be Wednesday, June 6th at 2PM at the Ashuelot Cemetery in Dalton. All are welcome to join the family in a Celebration of Life that will immediately follow at the Dalton VFW from 2:30-5PM. 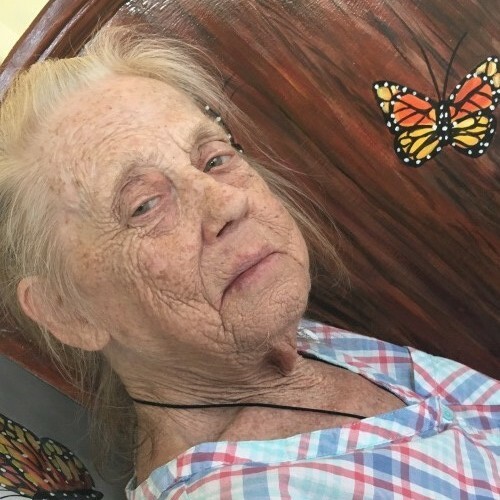 In lieu of flowers, memorial contributions in Beverly’s memory may be made to: Meals on Wheels-Berkshire County, in care of the Funeral Home.